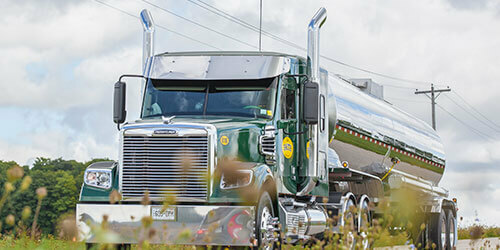 State of the art trucks, tanks & trailers. At T.D. 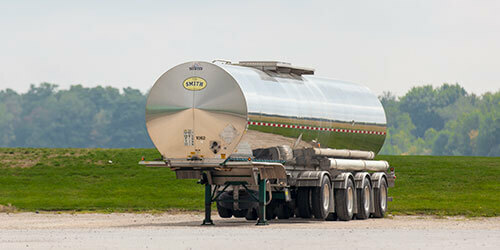 Smith we operate over 100 trucks with over 200 bulk liquid late model, state of the art tanks that are set up for various products and jurisdictions. We have innovated our own tank technology by simplifying and streamlining our equipment to eliminate room for errors and increase efficiency. Our trucks, tanks and equipment are serviced and maintained on-site in our MVIS and Transport Canada certified service bay. Combine this with our large fleet and it means that no matter what, we’ll get your delivery to you in a timely and safe manner. We run satellite tracking systems on our entire T.D. 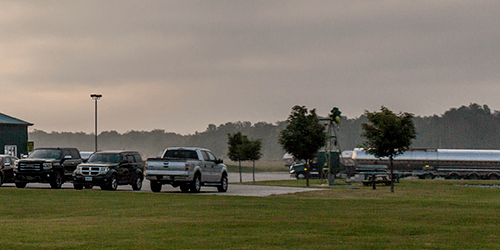 Smith Transport fleet so that you can rest assured that your delivery will be made on time. You can trust that our tanks and equipment are cleaned properly, and to the highest standards to meet strict regulations in our KOSHER, JPA and Diageo certified, food grade wash bay. Our technicians are highly skilled, detail-oriented, and organized. Whether you need Kosher, JPA or other food grade liquids transported, we get the job done right utilizing products certified to industry standards. With 70 years of practice comes intuitive processes and lean approaches. Our facilities, operations, and equipment are run lean with a high degree of organization. We invite our customers to our drop in to our facility anytime, either scheduled or unscheduled. Just ask our insurance company, we’ve been using the same one for over 40 years, knowing our customers are protected above & beyond with our coverages. T.D. Smith also offers long and short term leasing, with or without a maintenance program. We offer competitive pricing, modern equipment, and excellent service.